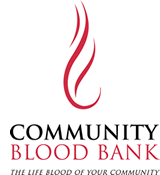 Madison, SD- The Knights of Columbus, Madison, SD will host a blood drive on Friday, May 3 from 9:00 am to 11:30 am and 12:30 pm to 3:00 pm at St. Thomas Catholic Church. Donating blood is a way to ensure patients requiring transfusion has the blood they need, when they need it. This event will benefit those patients of Madison Regional Health System.